Here's a technique I somehow hadn't considered for the cage (although on reflection it is one of the civilian defence methods that is reasonably suited to that enviroment): the "double punch" from naihanchi/naifunchin/tekki. It was in December 1986 and my brother and I were visiting our sensei in Durban, South Africa. 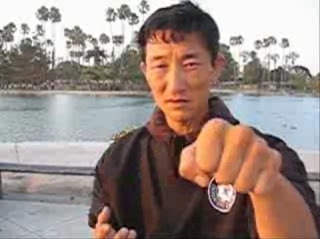 One hot and sweaty morning, during one of the many intensive private trainings at his dojo, sensei asked my brother and me to consider the application of the naihanchi/naifunchin/tekki double punch technique - and report back to him in an hour or so. It was a kind of test. Now the "double punch" is exactly that: a full sideways facing punch with one hand, the other a shorter "hook" punch (also executed sideways). Try as we might, we couldn't think of a rational reason for having 2 punches to the opponent - at such vastly different reaches. We thought it might be in case you missed with the first one or the second one... or perhaps you were aiming at two targets... or two opponents... Our sensei shook his head wearily. We'd failed the test. "I want you to leave this dojo able to think for yourselves," he admonished. "This is especially important when the answer is so obvious. And it is obvious: the first is not a punch. It is a deflection that lets you enter into your opponent. The hook punch is the real punch." "But that doesn't seem a very strong sort of punch." He then proceeded to demonstrate the power of this punch on the makiwara. "But why wouldn't you simply do a rising block with your lead hand? Why do a punch if you're going to block?" "That you can work out for yourselves. I've spoonfed you enough today. Try it and see. I'll give you a little clue: you're entering into your opponent - driving in." It took me a while before I realised what he was saying. The lead hand could be a punch too. But if your opponent had closed the gap you could "blend" it into a deflection with very little effort, using the force of the punch to drive deep into your opponent. Combined with your opponent's own forward momentum, he would be primed to fall right into your hook punch at full speed. The fact that the lead punch misses actually creates a split second feeling that the danger has passed - when in fact it hasn't (the dangers of the old "dog hanging around the kitchen" as Sensei Bob used to say). "But why does the kata aim the punch at the chest?" "Because it is a neutral spot meaning it has a variety of targets - the head being one, the solar plexus being another... There are many targets you know - even on the face." "Yes but should you be sideways? And why is there no body movement in this stance? Isn't it risky moving on the inside?" "Enough questions! Train. And think. Think for yourself." Of course I worked out the answers to all my questions over time. And in recent years I have used the same lesson for my own students. In fact, I filmed this very video to describe the naihanchi/naifunchin/tekki double punch a couple of years ago. Then just today, Lyoto Machida surprises us all again by appropriating this quintessential move from a quintessential karate kata into his MMA repetoire - this time against Ryan Bader. Not long into the second round, Machida waited for his opponent, Ryan Bader, to charge. Then Machida himself drove in. With the naihanchi/naifunchin/tekki double punch. On the inside. For an instant knockout. That Machida should use this technique is hardly surprising. As a primarily goju man, this kata has always been on the sidelines of my practice; a remnant of the days when my own instructor was part of the JKA shotokan organisation (until they converted to goju in the late 60s). But for Machida, this kata (which is called "tekki" in shotokan) is a staple. It is to Shuri and Tomari te schools of karate what sanchin is to the Naha te schools of karate - the cornerstone. I'm not suggesting by any means that Machida somehow thought: "I think I'll try that move from tekki shodan today". However if you've grooved the same movement hundreds of thousands of times, it can manifest reflexively. Yes, Machida might not be doing "pure karate" in the MMA cage. But it is quite gratifying (even surprising) to see traditional techniques show their effectiveness in such a spectacular way. For all those who argued with me till they were blue in the face about the dangers of "moving to the inside", "turning sideways" and "not hitting with the lead hand", here a clear example why, sometimes, none of those are "issues". As I've just discussed, there is a time and place for every technique. Even the crane kick of the karate kid (mae tobi geri - it is actually a karate technique found in many kata). And even the double punch of naihanchi/naifunchin/tekki. And don't get too caught up on how it "doesn't look exactly like the kata". Kata techniques are very formal. When applied they get the square edges rounded off. In my opinion this is more or less how this move of the kata was always intended to be applied. If you haven't worked out why "moving on the inside" and all the other things aren't necessarily "always bad", then watch the fight again. If you can't work out why naihanchi/naifunchin/tekki doesn't feature any obvious footwork, have another look at the kata. And think. I have no idea who would say that Machida isn't using karate in the cage. It is somewhat basic karate, but basic tends to be highly reliable. Its easy to get caught up in the intricacies of karate, but simple is what we tend to default to when the fit really hits the shan. A few basic tsuki-waza, keri-waza, (sprinkled with a few empi/hiza waza) is as simple as it gets and you'd be hard pressed to find somebody who demonstrates their effectiveness better than Machida. Some people go their entire lives without being able to think for themselves. 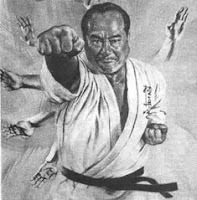 Martial arts isn't doing anyone a favor by attempting to tell people to copy kata and that maybe 30 years later, they will become "masters". Doesn't work that way from my view. People need to start early, else there are problems. @Ryan: Yes, you're right of course. I refer to Machida "not doing karate" in a broader sense because he himself says that he has "combined different arts" including BJJ. But are his reverse punches and kicks etc. karate? Of course! As you say, basic karate, but what of it?! @Ymar: You say "else there are problems": What are these? An inability to defend? If so, does it matter that most people probably don't do karate for "self defence" but rather as a physical art and form of exercise (as well as a host of other reasons, such as friendship, community etc.). I'm not sure if this is a "problem" for them as much as it is just a reality they probably accept. For example, I don't know too many kenjutsu practitioners who seriously imagine they will ever use a sword in defence or battle, but this doesn't deter them from practice. The fact that they are not really "prepared" for real sword fighting (even in a mental sense - having technique is only a part of the formula) isn't a "problem" for most kenjutsu practitioners. And I think it probably takes at least 20 years or so to be a "master" of anything, so I'm not sure that there is anything incorrect with the statement that "maybe in 30 years you'll be a master". Master of the technique, yes. Master of fighting... well, that's a whole other ballgame. Anyway, I don't know too many people who claim that sort of thing nowadays. 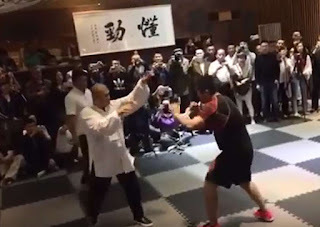 Most traditional martial artists don't claim or even aspire to be "fighters"; they just practice an art form that can be used for civilian defence (contrary to the current view that the art cannot be so used if the person chooses and trains accordingly). 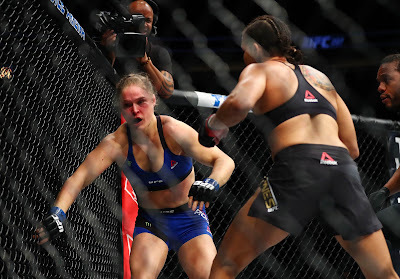 I think Machida shows that karate technques work. He also shows that if you want to use them in the ring, you need to do some pretty specific fight training; kata alone won't cut it. But then again, most traditional martial artists I know don't really care about that. And who is to say they are "wrong" or that there is a "problem"? 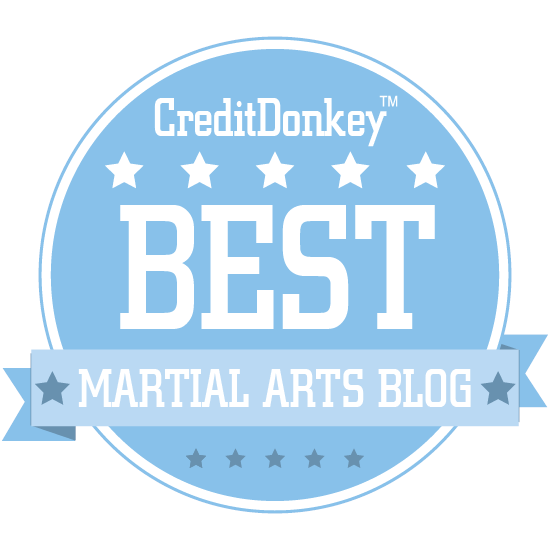 Sometimes my blog gives the impression that I am more interested in self defence or fighting than I actually am. This is a function of my martial history, my occupation and partly because interesting debates/discussion tend to centre on applications. But truth be told, nowadays I mostly train in traditional martial arts because I love the arts - and for no other reason. Hi…I'm not sure how I stumbled on your blog, but thanks…this is great stuff. There's an initial deflection and then a strike. 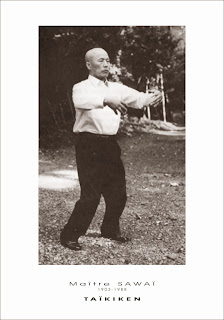 Of course, being tai chi, the form emphasizes circular movements and whole-body movements. Looks like the same idea, though. Thanks Mike - fair lady works at shuttles is one of my favourite taiji moves, but I see it as being quite different to this technique which is side-on with a hook punch as opposed to turning in with a straight punch. "I'm not sure if this is a "problem" for them as much as it is just a reality they probably accept. " That presupposes that they are thinking for themselves. The original problem highlighted here in your OP is that there's a problem when people don't think for themselves and are always looking for answers. If they are given these answers, when are they going to learn to find the truth themselves? Probably never. That's not an issue of effectiveness or application or practicality, but an issue having to do with a person's mental flexibility and awareness. If a person lacks a certain mental attribute, it severely limits that person's abilities in all sectors of life. It doesn't matter for most easy things, but when it comes to matching personal performance vs other people operating at a higher level, people will be able to tell. And most people are not perfectly fine with accepting that low level of performance or capability. They want something more. But they can't get it until they begin to think outside the box. It takes 10,000 man hours approximately (prodigies do not count) to achieve a certain level of competence, to start the road to mastery. 30 or 20 years can be a long time or a short time. My problem with that phrase spoken by many, is that it is unclear and basically means whatever people wants it to mean. Some guy has trained for 30 years, most of those years being full time instructor running a commercial dojo and trying out different styles and philosophies. Other guy trained for 35 years, and worked during those years at his corporate job, never straying from his style and the mold he was made into. There's a significant difference between the flexibility, mentally, of the two individuals in question. And those two individuals do exist, they're not just hypothetical. 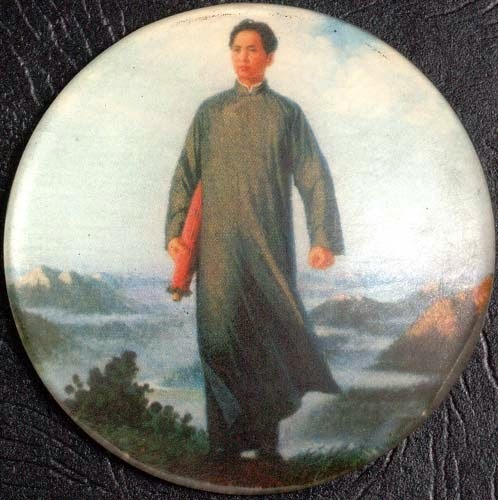 When any person says a student will master martial arts, or anything, in X amount of years, and he basically leaves it as that; that is insufficient by my standards. It doesn't communicate anything. It just makes a promise to a student that won't necessarily come true, because the promise is not concrete enough. It's often used as a way to avoid explaining principles or "secrets", when a student is having problems or difficulties or questions that the instructor cannot answer. Because the instructor himself is on the 30 year journey and hasn't taken a single step upon the road of mastery yet. Or is lacking the confidence to assert his own views on the subject. One of the most dangerous and debilitating issues with 20-30 year training times to even become semi competent, is that it kills the training quality for the next generation. 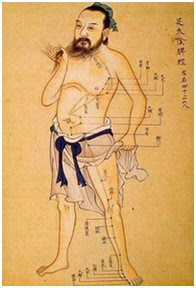 If new students have to wait for martial artists to mature that long before they can even start teaching themselves and other people on their own cognizance, then basically they will have been producing low quality methods for the last 20 years they were teaching beginners. That has a long term effect 10-30 years later. When students can no longer think for themselves, they won't be able to progress. And certainly you described a good scenario about just that facet where your own lineage tried hard to fix that issue. But the longer it takes, the more students are produced that teach other students to think inside a box. P.S. 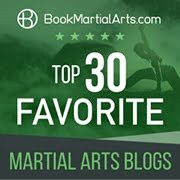 While I appreciate your analysis of various techniques such as what Machida uses, which has helped me understand how MMA crosses with TMA, I don't really focus on the issue of applications as it is commonly understood of in martial arts communities. explains that in more detail. 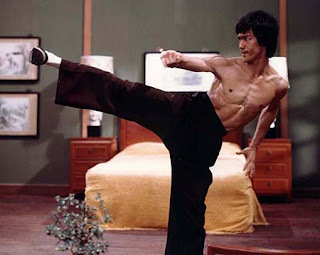 I've had to study why martial arts apply things certain ways in order to communicate with other martial artists and understand why they do certain things the way they do, given the number of languages and styles used. When it comes to making techniques work, that is a very limited funnel in which to view things which is why it always depends on the specific style and history in question. Whereas the more bedrock foundation, the principles that underly all training in martial arts and H2H, is much more omnipresent. Given a choice to focus on techniques or focusing on the origin points, I would take the latter. "I want you to leave this dojo able to think for yourselves," he admonished. "This is especially important when the answer is so obvious." What I take the most notice of is that. Not the applications or kata or techniques that was described here afterwards. Those are essentially far less of critical import in my analysis.